Jessica's Natural Foods Review from S.A.F.E. I don't have much to say except that everyone will LOVE this hand-crafted granola! The fact that it's gluten-free, kosher and parve (dairy-free) is just a bonus! I'm NOT kidding. 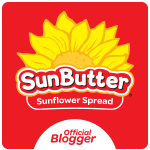 Whether added to your yogurt, ice cream or munched on its own, this stuff is delicious! And I'm NOT even gluten-free. I had a taste testing with a group of NON gluten-free, dairy-free moms and they ALL loved one particular blend or another. We sampled 6 different products, and I was amazed at how they appealed to each of us for different reasons. Jessica's Natural Foods, P.O. Box 145, Birmingham, MI 48012. Jessica's Natural Foods Granola Review from S.A.F.E. Almond Cherry - Holly's FAV - She liked the complimentary tastes of the almond and cherries blended together. Chocolate Chip - Alesha's FAV - She liked the chocolately taste and the fact that this granola comes in chunks, almost like cookies. Vanilla Maple - We all found this one plain after tasting the other flavorful ones. Like your average granola mix. Cherry and Berry - Juliet's FAV - She loved the fact that the berries were so big and that there were so many; no skimping. Pecan Almond - My FAV - I thought the sweetness of the granola perfectly complemented the natural nutty flavors of both the pecans and almonds. Motor City Crunch - Clover's FAV - She liked the deep chocolate flavor and hazelnut taste; Juliet found them too chocolatey; more like a dessert - probably awesome on ice cream. The central ingredients for ALL of these products include: gluten-free oats, ground flax, coconut, maple syrup, honey, cinnamon and sea salt. Even better for those with celiacs or gluten intolerance is the fact that they are made in a certified gluten-free bakery. Combining her love of baking and a desire to create gluten-free alternatives for her gluten intolerant husband, Jessica set out to create a perfect balance of sweetness, crunch and yummy flavors from plump dried fruits. And she did it! 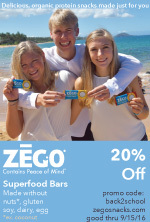 You can currently purchase them at Whole Food Market in 14 states, including New York, New Jersey, Connecticut and Michigan. Can't find them locally? 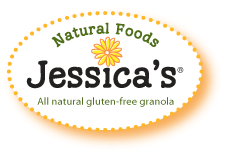 Be sure to check out the different granola varieties online at Jessica's Natural Foods Granola link. Thanks to my wonderful group of Mom Taste Testers! When your NON dairy-free, gluten-free friends enjoy a product, you know you've found a winner!